Did Zeti intentionally allow Ringgit to fall sharply? The above is the latest monthly chart. 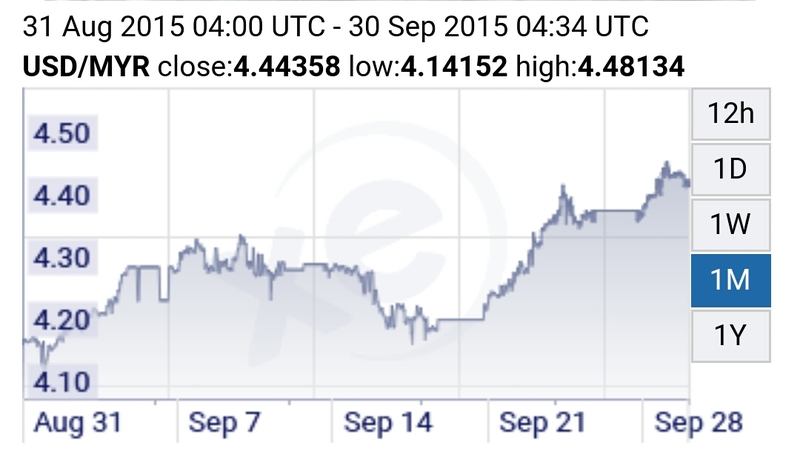 Yes, it is just off the new high of 4.48. But that is not the point at all. Ever since Tan Sri Zeti shrugged off her responsibility as Manager of the National Reserve and her role as Central Banker to manage and monitor the Ringgit to pass the buck to government by meddling in politics to ask politicians to end political perpetal quarrel and MoF to sort out 1MDB on September 20th., Ringgit has continued to decline unabated. 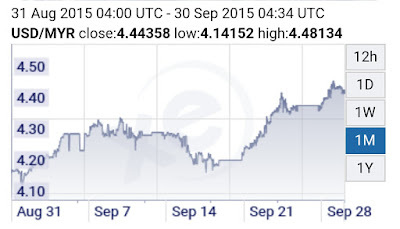 Prior to her statement, ringgit had plateau off and strengthen back to 4.20 level. The simple analysis shows she intentionally pushed Ringgit to fall further. Dato Salleh Said Keruak only sent Deputy? It's not our field of expertise but just sharing some interesting thoughts. Once in a while, it is great to attend conference, or seminar or forum to refresh and update oneself. Thanks to an inivitation from Wanita UMNO, we got ourself a spot at the World Communication Forum Kuala Lumpur. 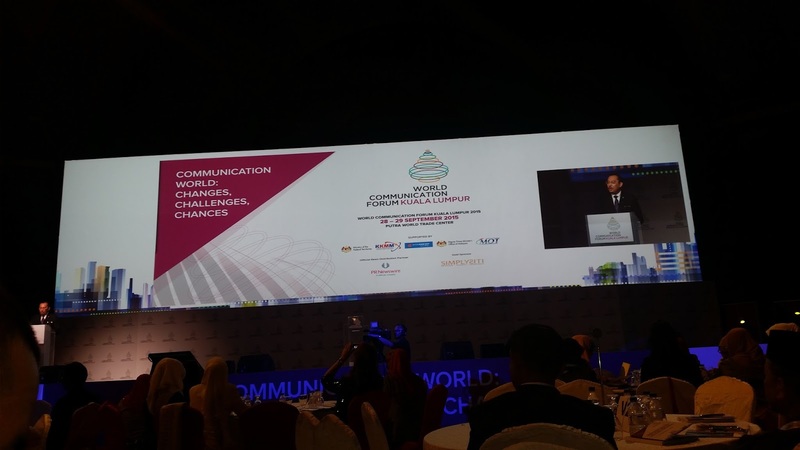 The Kuala Lumpur Conference is organised in conjunction with the WCF Davos. It was held at the PWTC. So we've earned our keeps for the free meals, few songs by Siti Nurhaliza last night and most importantly the knowledge. As the conference theme reads "Communication World: Challenges, Changes, Chances." And, we saw an idea we had during the Dotcom boom in the 90s, but we've said to "forget about it", is now happening. A chap sold off his developed product for US$2 billion before commercialisation! Anyway that was not the reason we went to WCF but to pick up few pointers on the latest in the specific areas of crisis communication and managing reputation. 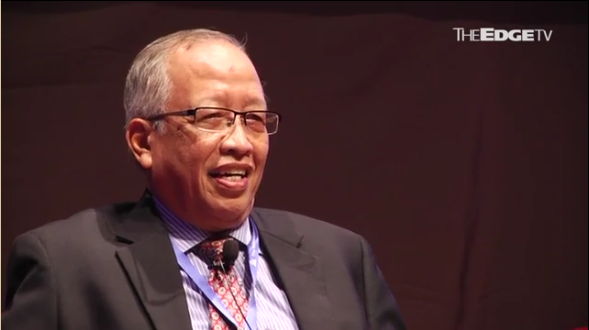 Has Tun M found the heir apparent for Malaysia? It is a Sunday. Not the best day to talk politics. Time for family, leisure and errands. Those going balik kampong for Hari Raya Haji and school holidays will be streaming back to their respective homes. The highway will be packed and traffic will be slow. Hmmm ... why not as it provide something to read on the smartphone. More so, there are something interesting in Tun Dr Mahathir's latest posting here 2 days ago. One particularly, Tun M seemed to have reached a phase of repeating himself. 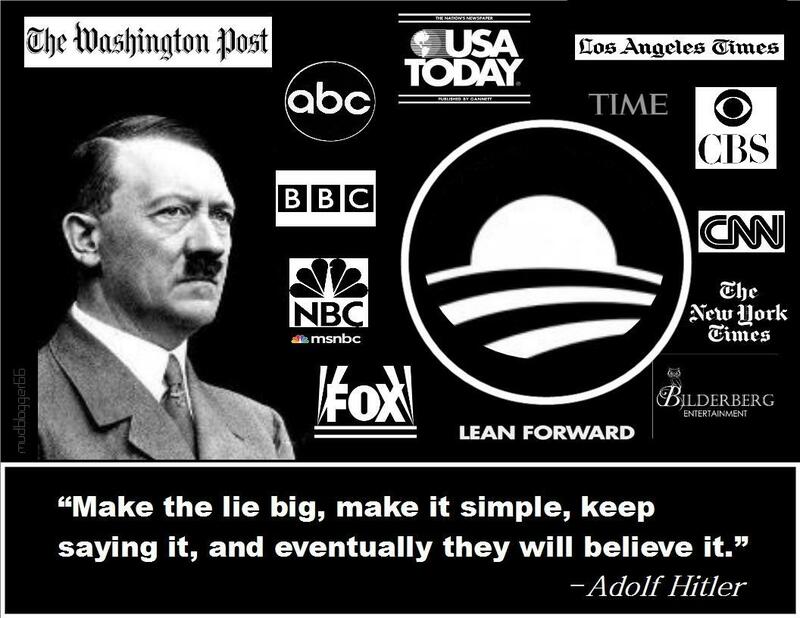 According to Joseph Goebbel, repeating is an integral part of propaganda. But then, there will be those especially the Kelab Che Det-type that will vehemently oppose such description. 1MDB thinks otherwise. They regret that "Mahathir easily forget". He "continues to reuse and recycle stale and unproven allegations, which have repeatedly been proven wrong." It is convenient to forget because according to a World War II propaganda manual, it is to address to "the least intelligent". Roosevelt used to say, "Repetition does not transform a lie into a truth." As October draws near and next Parliament seating gets closer, more and more absurd news and slanderous accusations are surfacing to psyche the public and gullible MPs for a vote of no confidence against Dato Najib. Najib should tell off Dato Pendikar Amin Mulia and bite the bullet. 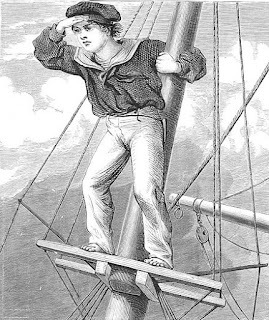 If he goes down, it is better now than later. Let the emotive orang UMNO go through the repercussion of losing power. Should he survive, he could buy time and work on his turnaround plan. The absurdity is looking to be very reformasi style. Dato Khairuddin Hassan will soon make claim of arsenic poisoning and HIV virus injection. There is also the drama leading to his arrest and re-arrest. Not forgetting, Xavier Justo's confession mentioned Clare Rewcastle and Dato Tong Kooi Ong wanted the stolen data fast to do a number on the ringgit, government and Najib. Since Clare was reported saying she could get other info from Tun Dr Mahathir, what does that mean? 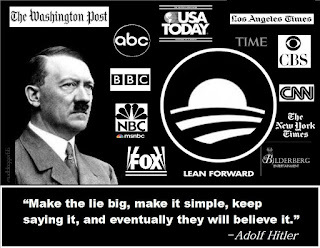 Not only Hitler said the above, his Propaganda Minister, Joseph Goebbel had a famous quote: "If you tell a lie big enough and keep repeating, people will eventually come to believe it." This fight is about power and truth does not matter. As was said, "Fact does not matter, (so-called) principle matter". "The appeal court may have got their facts screwed up but their argument quite fair and acceptable. But this ... the judges just could not grasp facts." "Not much can be done ... bro. How to argue when it is 9-0? ", a voice replied. "I know ... I know ...", the lawyer admitted. 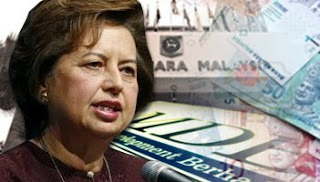 Cyberspace is hot over whether Bank Negara Governor, Tan Sri Zeti Akhtar actually blamed 1MDB for the ringgit fall. Someone send us her video and it confirmed that she actually said it. As a former currency trader used to follow statements of Central Bank Governors and Ministers of Finance of major economic powerhouses, her statement to implicate 1MDB was a pathetic excuse to cover her inability to manage and that led into a crisis. The words of a Central Bank Governor are usually loaded and have far reaching impact. It is a signal for upcoming monetary policy. In some countries, it is gives an insight into possible future budget and fiscal policies. Currency traders and other financial market traders analyse their every words and nuances for hints of policies on interest rates and their assessment of existing monetary issues. Unfortunately, Zeti's words on Ringgit means nothing. Ever since Dato Khairuddin Hasan and Matthias Chang made their trips to few overseas financial centre to make various report to foreign authorities, there have been a deluge of unsubstantiated reports on Dato Najib and 1MDB. Over the weekend, Washington Post and several other foreign media called on President Obama to severe relationship with Najib. One pro-Tun blogger proudly put up postings on the list of foreign news agencies giving negative report on Malaysia including the unconfirmed WSJ report of FBI investigating Najib. As one of the early cyber warrior from the reformasi days, he failed to realise that they are emulating reformasi play-by-play. 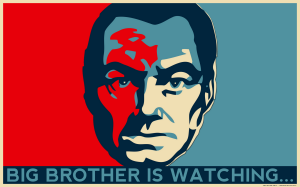 Reformasi painted perception of CIA and FBI investigating Tun M, and now same by Tun M? Maybe it's in the plan to pressure Najib internationally in the same vein as Iraq's WMD. Perhaps someone learned a trick or two from meetings with Saifuddin Nasution, Johari Abdul, Azmin Ali and Rafizi Ramli in various places, including London and Yayasan Perdana office in Putrajaya. [Read past posting here]. Expect Dato Khairuddin Hasan to come out of remand to claim arsenic poisoning from the walls of the police lock-up. 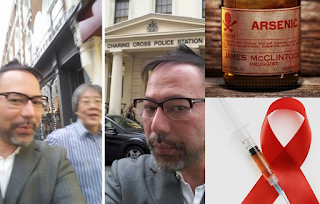 Not too far fetch, this cousin of Anwar Ibrahim could claim being injected with HIV virus. Second wife and actress, Ummi Aida to do a dramatic command performance to reveal it. Since charged in December 2010, the corruption case against Dato Dr Khir Toyo (KT) should see it's finality tomorrow. Sometimes longer but that is how long cases can take for those wanting to see lawsuit as the deciding factor in a political issue. The very reason Tun Dr Mahathir chose to ignore the RM100 billion swindling allegation by former Wall Street Journalist reporter, Barry Wain in his book. Maybe it is the common Javanese blood in us. And, maybe the sympathy to a fellow plebeian. Not discounting also, he deserve to be given a second chance after undergoing dugaan (challenges), self realisation, and mending his ways. 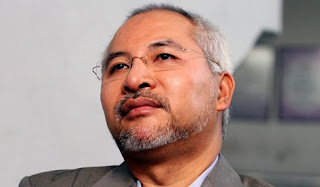 Something about Khir Toyo's corruption case does not jive. Love him or loath him, KT deserve justice and fair hearing. 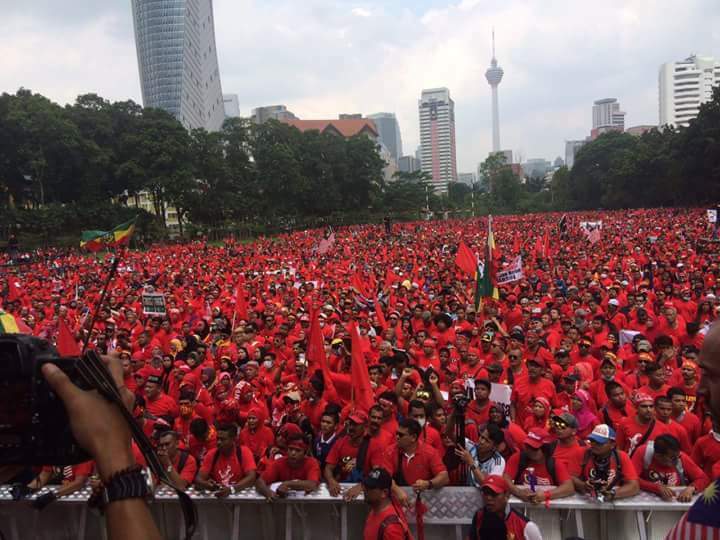 Is "Perhimpunan Merah" the answer to Bersih color revolution? The Russian have long suspected that US covert operation involving NED, Freedom House, George Soros, and NATO were behind attempt to start a color revolution in Russia. [Read here and here]. In Macedonia, Soros was detected to give money to students [read here]. NED and Soros involvement to fund Bersih, Malaysiakini, Sarawak report, SUARAM, Bar Council, etc is an open secret. In March this year, RT, formerly Russia Today website reported that the Russian is undertaking a research to counter color revolution. [read RT here]. Part of their strategy would likely be joint collaboration with China as Tass News Agency [read here] reported statement of Deputy Defense Minister, Anatoly Anatonov after the Umbrella Revolution in Hong Kong in November last year. Already color revolution NGO are being crackdown [read FB here]. More on possible strategy by Rusia in this You Tube here and article here. In the previous posting here, the latest Wall Street Journal so-called expose on the accounting anamoly between IPIC and 1MDB was seen as a diversion to divert a diversion. NST, BH and TV3 disclosed the content in the document submitted by Xavier Justo to Thai court for his guilty plea to revive the conspiracy to topple the government story. It serves to divert the public attention from the damaging statement by former Deputy Director of Special Branch, Dato Hamid Bador. And, it did reduced further exchanges between him and Datin Seri Rosmah's assistant as not newsworthy. In the disclosure, unfamiliar names like Nurul Izzah and Kamal Siddiqi were mentioned [read Rockybru here for the link to MMO on Kamal]. Forget facts and figures for a while. And forget the principle of evidence in the court of law. Malaysian politics is only concerned with perception because the popular belief is Malaysians vote on perceptions and not on ability to govern. By the way things are looking, no solution is in sight for the current political crisis. It has reached to a point where it has lingered into the realm of economics i.e. fall in ringgit. The intended solution is not so much for a truce between Dato Najib and Tun Dr Mahathir. When the conspiracy to topple the government begin to unfold, Tun M clearly said there is no conspiracy. He want to topple Najib. The talk of 1MDB latest appointed member to the Board of Advisory, Tan Sri Dr Samad Alias complaining for not getting brief was heard over the Hari Raya open house. However, it was brushed off since many politicians, media and bloggers managed to get briefing with 1MDB albeit in various capacity. “Respected, honest, professional appointed by the Govt and welcomed by the Chairman with fanfare. This morning Bigdog uncovered an interesting discovery on Samad Alias here. It puts into question Nazir's ability in making character judgement. And, how could he not know Samad Alias had dealing as Chairman of PKFZ-linked company, Tadmax Resources Berhad? This was recently highlighted by a participant in one of our many Whass App and Telegram groups. One blogger noticed that local blogs using blogspot.com had their domain changed to .my. From http://anotherbrickinwall.blogspot.com/, this blog is now http://anotherbrickinwall.blogspot.my/. This could have implication to anonymous bloggers. In the past, it provide space to escape lawsuits and the long hands of the law. One blogger in the group said things may not be as easy anymore with domain name is now based in Malaysia. This technical bit is not something familiar to this blogger. Only suspect it could have came out of collaboration between MCMC and blogspot.com for some localisation. Techincally, it may serve the purpose of reducing traffic on the trunk line to the US. Could it be that all the storage of bloggers' posting is now in Cyberjaya? Malaysia was given a 10 goals drubbing by UAE last Thursday night in the World Cup qualifier. NST reported the netizen's rage over the drubbing [read here]. It's five days already, but the public is still hurling sarcasm at various parties for the loss. Naturally, Dato Najib was conveniently blamed. One sarcastic joke made fun of the 10 goals as the much talked about favour in exchange for the RM2.6 billion Arab donation that went into his private account. 1MDB was linked to the loss but the name changed to 10MDB or 10 (gol) Malaysia Di Belasah. Like Raja Petra wrote here, it's the same with this blog. Not keen to comment and argue on Tun Dr Mahathir's twice appearance at the BERSIH 4.0. The pro-Tun will use whatever it takes to spin. Taking a cue from the man himself, they said he was there to see and came later to be as Maria Chin put it as participant. It was denied he support BERSIH 4.0. If so, why did Tun Siti Hasmah said it is people's revolution? Quite sure she could not see well enough from the passsage opened for her to walk through the crowd that it was 80%, or some say 90% attended by DAP supporters. It does not represent the composition of the country. Also it's heavily skewed towards Chinese DAP demand! 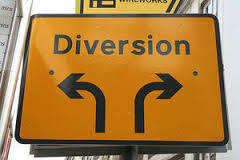 Anyway it is pointless to write when one is in an excitable mood. That was till we came across Bigdog's twitter in Helen Ang's blog posting here. 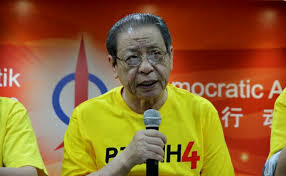 With him steadfast to his belief, someone commented that "Bigdog is more the flagbearer of Mahathirism that Mahathir! To understand Mahathirism, read this academic work here than reading politically laced criticism on racism, human rights and cronyism [read one here]. No wonder RPK was writing a series against Mahathirism in May [read here to here]. Air Asia is in a foul mood these days. They seemed to be suing every other person. On July 31 last month, it was reported that Air Asia sued airport operator, Malaysia Airport Berhad for RM409 million for losses allegedly arising from KLIA2 and the earlier LCCT. The issues seemed to be repeated one since the days they were endlessly complaining on the KLIA2 like "ponding" on the runway, bumpy taxiway, and "sinking" parking bays [read TMI here]. No news was found on MAHB's reply and the media seemed to be an accomplice to one sided reporting. They had replied and explained in their website here. It's conforting to know Malaysia Airport will be going aggressive on Airlines not paying their dues [read here]. Presumably legal action is a necessary option. Other than Malaysia Airport, they sued Wee Choo Keong and others too in March [read FMT here]. Heard to be a blogger too. 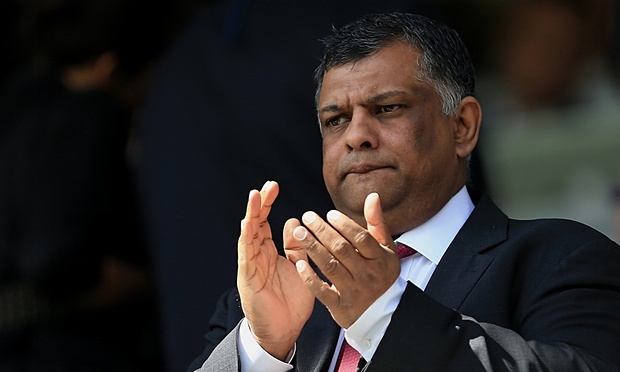 Since they are on that mode, they should sue UK's Daily Mail for a damaging report on Airasia's safety record but praised twice crashed Malaysia Airlines. Does it mean things have not turned for the better since the crash at end of 2014?